Nowadays, companies are looking for insights everywhere. And so are your customers. They want to access & interact with the data that is available within your platform. And of course, many business applications are already grabbing that opportunity. Smart SaaS companies include a reporting module within their own application, to provide their customers the insights they need. According to Gartner, 25% of all analytics capabilities are embedded within business applications. So, to stay competitive, the question is not whether you should add analytics to your platform. The question is: how? Embedding analytics, or build your own? To add dashboards to your platform, you have 2 options. You can develop the analytical component yourself, or embed an existing analytics software in your platform. Are you considering to build it yourself? Although it may seem a good solution, don’t rush into it. To help you make the right decision for your business, read through these 5 things to consider. One of the risks of building your own analytics platform is that it can quickly escalate to a complex, long-term project. The complexity of analytics features is often underestimated. What starts as a small side project, becomes a time-consuming hassle for your developers in no time. If analytics is not your core business, you’ll always run into issues which you didn’t expect beforehand. Your developers will need to skill themselves in this new area of development, which takes a lot of time and effort. In the meantime, they should be spending time on what matters the most, and what they do best: developing your core product. 2. Do you have enough resources? So, that gets us to the issue of workforce. Do you have enough resources to ensure that your core product won’t suffer? For example, if you dedicate 1 full-time developer to analytics, that means you’ll lose 38 hours of work on building & supporting your core product, per week! And that will have an impact on your customers as well. 3. The high cost of building analytics. That brings us to the question of money. ‘Renting’ software may seem like a waste of money at first. “Why pay for a license continuously if we can build & own it ourselves?” Don’t underestimate the investment that goes into building analytics. Let’s do a hypothetical calculation. Imagine you hire a developer who is skilled in analytics. Let’s say he spends 6 months to build a full analytics module (if things go well). With an average year salary of $100,000, you will pay at least $50,000 before even having a usable analytics component ready. Of course, the amount of work varies from case to case. If you have complex requirements or if issues come along, those 6 months can easily become years. And once you get started, there’s no turning back from that initial investment. And don’t forget about the costs after the initial set-up. You’ll need to foresee time for support, maintenance and updates or customizations needed. And if you really want to build a good analytics offering, get ready to hire a team of data scientists & engineers for roll-out & support. 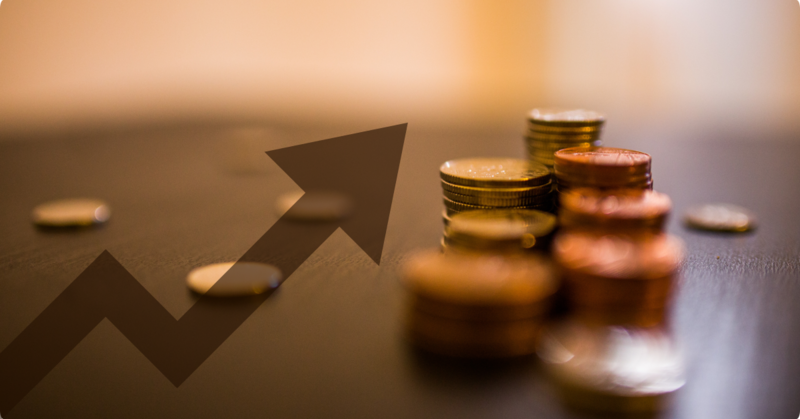 So, roughly calculate to pay 1 or 2 full-time employees to keep your analytics up & running. This will easily cost you at least $200,000 per year. The bigger your team, the higher the cost. Obviously, this option is only realistic for large, mature organizations with a huge budget, in need of thorough customization. 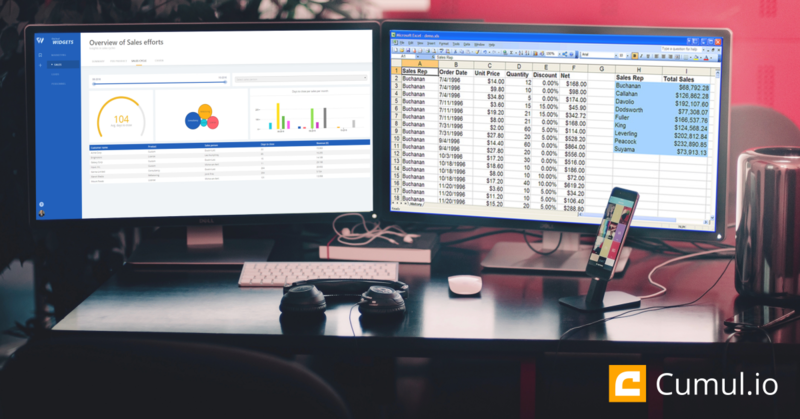 In most cases, an embedded analytics solution will offer enough customization to fulfill your needs, at a fraction of the cost. Let’s elaborate on support & maintenance. If you buying a tool for embedding analytics, support will fall beneath the scope of your vendor. If it’s not the case, you might want to rethink your choice of vendor. So, when something goes wrong from a technical point of view, you can count on your vendor. You won’t have to bother your team to spend countless hours on bug fixes. In case you have built the tool in-house, you’re are completely independent. You might have more control, but it also means you’re on your own. You’ll need to have resources in place to maintain servers, to fix bugs, and to make sure everything is running smoothly. As mentioned above, those costs shouldn’t be underestimated. Time-to-market. When choosing for an embedded solution, you’ll drastically increase your time-to-market. More time to tweak your core product, plus you’ll have an analytics module up & running from the start. Customer service. Every minute you spend on building analytics, is time lost for supporting your customers technically. The longer you let your customers wait, the more unsatisfied they will become. Think about thát cost. Offering your customers in-app analytics will give you a big competitive advantage. Whether you build the tool yourself, or embed software from a vendor like Cumul.io. But, the choice you make will have a huge impact on your company’s operations & success. If you want to keep costs low, a build-your-own approach is clearly not the way to go. Only when you need excessive customization, this might be a good fit for you. However, know that most existing analytics platforms are flexible enough to allow a smooth integration, adapted to your needs. Looking for a flexible analytics partner? 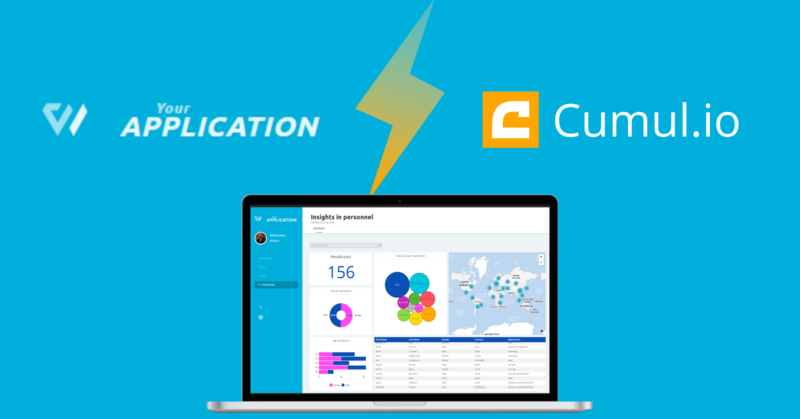 Start a free Cumul.io trial, or book a demo to discover our seamless integration options.